Published on June 24, 2013 in International Education, International partnerships and Uncategorized. 0 Comments Tags: bbc, British Council, Commonwealth Class, international. 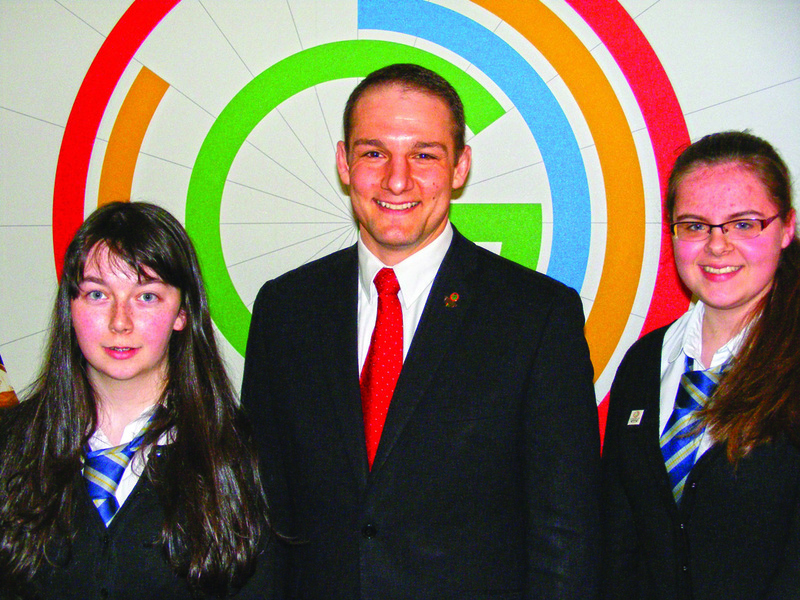 Join pupils around the world for the second Commonwealth Class debate. In class, watch the film on the Commonwealth Class website about ‘school journeys‘. Talk about this in class and gather some opinions, examples and comments to share with pupils around the world. Commonwealth Class will publish pupils’ opinions on the site, allowing schools to respond and converse in real time. The aim is to include as many contributions as possible. Commonwealth Class is a special initiative that provides teaching resources, online debates and interactive activities for schools to mark the run-up to the 2014 Commonwealth Games. It celebrates the values of the Commonwealth and connects schools and young people as they learn about how to be active, responsible global citizens as part of the Commonwealth family. The Commonwealth Class education pack is an exciting resource designed to teach young people about Commonwealth values such as rights and responsibilities, protection of the environment, respect for others and what people need to lead healthy lives free from poverty. Produced by the British Council, the resource pack contains cross-curricular activities, short films and discussion guides with learning outcomes that link to key skills, curriculum subjects and Commonwealth values. Activities include what qualities you need to be a successful Commonwealth athlete, and an exploration of the route of the Queen’s Baton Relay which will visit all 71 countries and territories taking part in the 2014 games. Get set for 2014 and download the British Council Commonwealth Class education pack today. 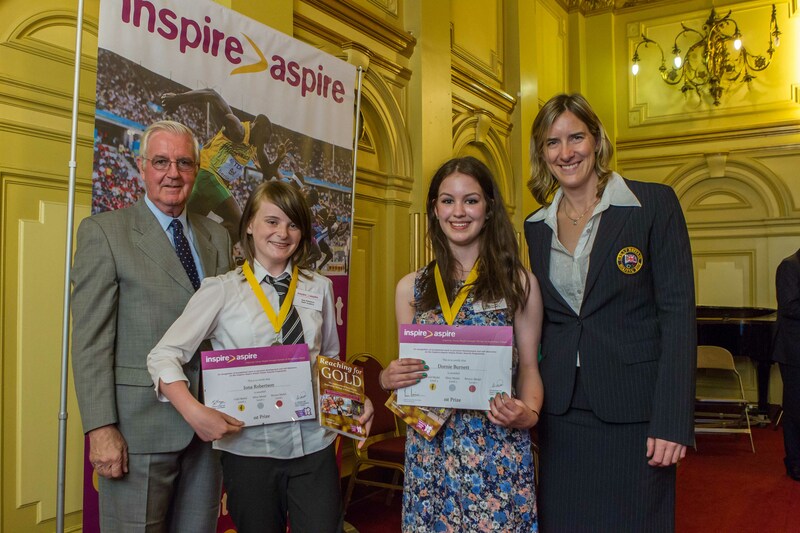 Published on June 20, 2013 in Award, Inspire>Aspire and partnership. 1 Comment Tags: awards, Inspire>Aspire, interdisciplinary, values. 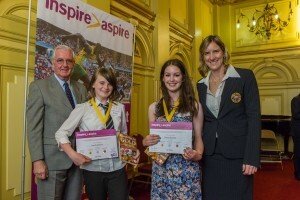 Some of the country’s brightest young people visited Glasgow City Chambers to receive medals for their work on the Inspire-Aspire programme from Olympic Gold Medallist rower, Katherine Grainger CBE, IOC member Sir Craig Reedie CBE and the Lord Provost of Glasgow Cllr Sadie Docherty. The Inspire-Aspire Awards programme reached 25,000 young people this year by using the Olympic and Paralympic Games and the character qualities of Oly mpians to inspire young people to set personal goals and to develop future aspirations. Winning a joint- Gold, 1st Level award at the event were Iona Robertson, Banff Academy and Dornie Burnett from Inverurie Academy. “How many future gymnasts did Nadia inspire? I don’t know the exact number, but it is at least one, because she inspired me”. Before presenting the awards, Olympian Grainger told an enthralled audience that it takes commitment and courage to reach the top. She spoke about how it was sheer determination that had helped her finish the race at the London Olympics in 2012. Grainger expressed how important using the Olympic and Paralympic values in everyday life can be, not just in sport. Inspire-Aspire aims to help young people gain a better understanding of their own character qualities and values and inspire them to create a personal development plan. Published on June 18, 2013 in Glasgow 2014 and Uncategorized. 0 Comments Tags: athletes' village art competition, Game On Challenge, Glasgow 2014. 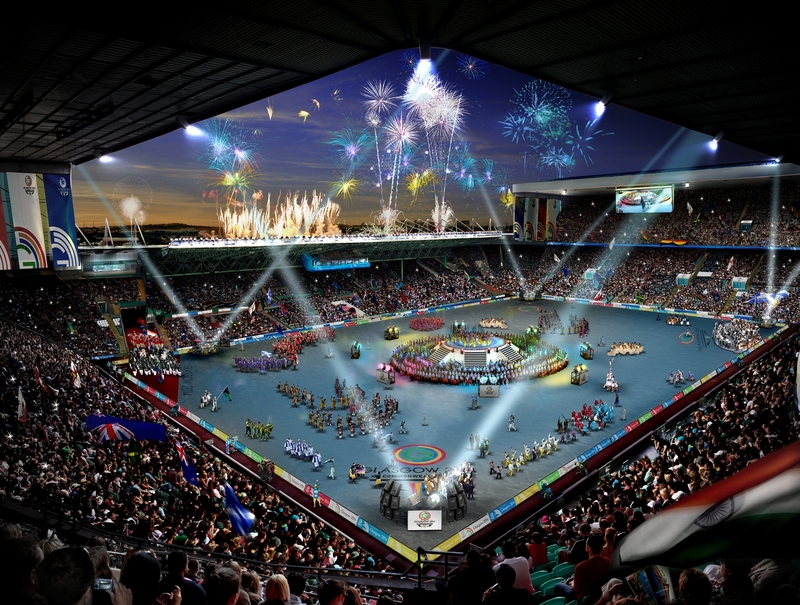 Today marks another milestone in the journey towards the Glasgow 2014 Commonwealth Games – there are only 400 days to go until the opening ceremony begins 11 days of top class sport in venues across Glasgow and Scotland. 400 days. That’s fewer than 58 weeks until the largest multi-sport and cultural event to ever arrive in Scotland opens its doors. Are you ready to make the most of the opportunity? We’ve got information, resources and details of opportunities aplenty on the Game On Scotland site. It’s not just about sport either, the Games can provide a fantastic context for learning across the curriculum. You’ll find content relevant to every curricular area as well as inter-disciplinary and whole school materials, we’ve even got materials specifically designed for youth workers and CLD professionals. We’ll be doing everything we can to assist teachers and educators to use the Games as a context, but it’s a team effort and we need the support of those same professionals to deliver the greatest success. As a starting point, make sure you tell the world about your Game On Challenge and get your school signed up for the Athletes’ Village Art Competition, both great ways to make sure the young people you work with are included in the Games. Published on June 14, 2013 in Glasgow 2014 and Uncategorized. 0 Comments Tags: case study, Glasgow City Council, literacy, Lourdes Secondary School, project, Shoutit!. I grew up in inner city New Orleans. My mother was a social worker and worked with churches and gangs to bring people together. New Orleans is a fairly diverse community and I was the only white kid for blocks which taught me a lot about appreciating diversity and trying to understand. Sport was around me from day one at the playground I used to play at. I was given the chance to go out of the city centre into the suburbs to a private school which was also a big transition for me. I really started my wrestling career here and was successful; I wrestled a bit nationally and internationally through school and college. When I was about 18 I went 1500 miles to complete my undergraduate degree in Sports Management. Wrestling was something that came with me and it carried me all the way through college. Unfortunately I had an injury that stopped me from doing it. I had to move on and do other things which is when I started doing Sports Management. I did some work with the USA Olympic Committee in the grants and planning division which is very similar to Sport Scotland where you got to see all the different national governing bodies all the different sports how they are run. I was put in charge of putting together the high performance plan for the US Paralympics Team going to Atlanta. This was an amazing experience because the way I looked at it these are athletes with different eligibility requirements they are not disabled athletes they are just athletes. I’m an athlete, you’re an athlete, let’s make sure you are treated like an athlete and we really pushed that forward. I spent 16 years in the Paralympics movement and was asked by the International Paralympics Committee to write their qualifications criteria for each of the Paralympics games. In 1999 I was made Sports Director for the International Paralympics Committee and moved from United States to Germany; I did that for 11 years before coming to Glasgow, where I have received an amazing welcome. I think the thing with Glasgow is that it embodies so much of the Commonwealth – it has a great chance to show the Commonwealth what it means to be a great a Commonwealth citizen. My main role as CEO of the Commonwealth Games is to make sure that our vision and our mission is protected. Our vision is really in three parts, always keeping the organisation and athletes in the sports the focus; to create a celebration that is celebrated not only throughout Glasgow and Scotland but throughout the Commonwealth and thirdly to make sure that everything we do leaves a lasting legacy for Glasgow and for Scotland. One of my proudest achievements I have to say is the response that we’ve had from the people getting involved. 50% of the Commonwealth, that’s a billion plus people, are 25 years of age or younger and for us to engage and empower young people as part of this journey is an achievement. Getting young people such as yourselves, not just talking about values but actually taking the time to action those values; that I feel most proud of. Sitting in front of you I’m inspired and just amazed by, I question myself at your age would I be doing this, I just think that is what it’s all about. I always talk about challenges as opportunities. I think probably, the number one challenge that you’re facing in any multi-sport games it’s just getting people to know what they expect, know where they’re going. Sport in so many ways gives us the opportunity to dare greatly, to showcase our determination to recognise accomplishment. Look at Sir Chris Hoy and his performance during London 2012, it didn’t matter where or who you were in the world, everyone appreciated that performance, and were inspired by his graciousness, humility on the podium and his sense of accomplishment. Those moments bring us all closer together. The more we practise sport the more we can use sport to find ways of pushing ourselves forward in humanity. I wrote a bit of a poem on daring greatly when I left the IPC which outlines how I think sport challenges us to dare greatly and I think Glasgow 2014 is doing just that. It’s daring greatly. I think Scotland performs so well in a number of sports, in Delhi shooting was by far one of the most successful sports and that will be taking place in Dundee. In swimming you’ve got Michael Jamieson, Hannah Miley and others coming through the ranks. I know Commonwealth Games Scotland is working very hard with sportscotland and the Institute of Sport to prepare the team to be successful in a home team environment and I think that’s something that I look forward to seeing. The legacy for youngsters of Glasgow is people’s confidence; we do what we say and we say what we do and we can do it; it’s different than anywhere else in the world and we can do it. Don’t be afraid of your ambitions, manage your anxieties and be ambitious and go after your dreams. The more we can get that message out to young people the better all of our futures are I think that’s a real potential here in Glasgow. I have two messages for Glasgow pupils and their parents and carer; the first is to say thank you to everyone for their support to date. Secondly is that we’ve got almost a year to get ready to welcome the world. Let’s all do what we can to make Glasgow proud and to be a shining example of the city we come from. Published on June 12, 2013 in Active, Award and partnership. 0 Comments Tags: case study, curriculum. The Scottish Government announced a new scheme to regonise innovative ways of delivering school PE and extra-curricular sport . The School Sports Awards, intially introduced in three local authorities this August, will accredit schools that continuously improve PE and school sport and deepen sporting links between the school and the local community. For more information on the award scheme please visit the Scottish Government’s News page. If you are looking for inspirations on how to create exciting opportunties for learners around physical activirites and PE within their schools and the wider community why not have a look at the Going for Gold initiative or Larbert Cluster project, two of our Game On Scotland case studies. Published on June 11, 2013 in International Education and partnership. 0 Comments Tags: British Council, Commonwealth Class. Join pupils around the world for the first ever Commonwealth Class debate. In class, watch the film on the Commonwealth Class website about the ‘woman behind the fastest man alive‘. Talk about this in class and gather some opinions, examples and comments to share with pupils around the world. Published on June 6, 2013 in Educational resources, International Education, International partnerships and partnership. 0 Comments Tags: British Council, Comonwealth Class. The BBC, the British Council and the Commonwealth Secretariat have joined forces to bring you Commonwealth Class, an exciting new opportunity for schools. Commonwealth Class partner, the BBC, is hosting a series of monthly online debates commencing this summer. The debates are intended to create a platform for schools in the UK and Commonwealth countries to teach and learn together. The first debate in the series will take place on Thursday 13 June. And a week before the first debate you can visit the BBC’s Commonwealth Class website to find out how you can take part! Brand new Game On Scotland materials! Published on June 4, 2013 in Games Legacy and Uncategorized. 0 Comments Tags: Calderglen High School, case study, Impact, learning journey, values, videos. Three new exciting learning journeys as well as an additional three videos have been released this week on Game On Scotland. Three new videos have been released to support the case study about Calderglen High School’s successful Games Legacy programme. The short clips feature members of the senior management team and pupils from Calderglen High school talking about the impact of the Games on learning, values education and overall school ethos. 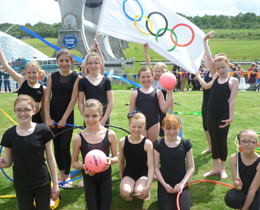 Game On Scotland is the official education programme for the Glasgow 2014 Commonwealth Games and its legacy. Visit the Game On Scotland website for a wealth of learning and teaching resources, interactive media and background information on the Games.